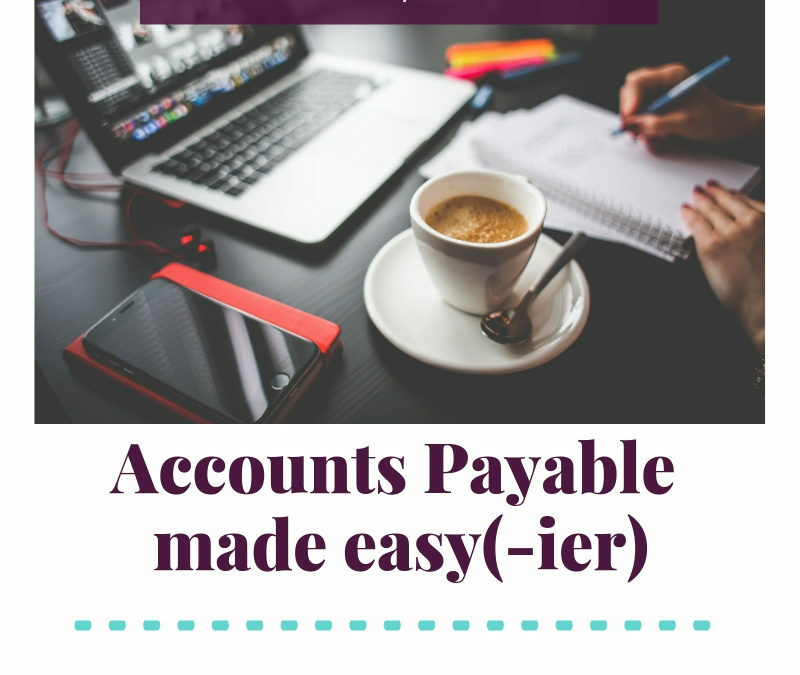 When we talk about Accounts Payable we shouldn’t be dreading the month-end closing process. Or worse yet, get that nauseating feeling of stress in the pit of our stomachs! Yet in reality that’s exactly what happens. If a consistent, well thought out process is not undertaken and followed, AP (Accounts Payable) can be your worst nightmare. The mission of AP is to pay the company’s bills and invoices that are legitimate and accurate (according to the agreed upon payment terms). This means only correct invoices are entered into the accounting system to be scheduled for payment. Which brings us to a very important point. There can be a lot of variables preventing a finance department from reaching this goal and in this 1st edition of my new Accounts Payable Series: Goals you want to achieve in AP we’ll take a look at specifically what the goals and functions are that happens within the AP departments during the accounting process. So that leaves us with a new question. How do we know if invoices are legitimate and accurate? By following a standard procedure or process, we can make sure that invoices submitted to the accounts payable department are correct and are in order to be paid according to the agreed upon payment terms. Every company needs to establish internal controls for ensuring accuracy, efficiency and limitation of any risks associated with AP. What are the risks involved in the Accounts Payable accounting process? Some of the risks include the following; paying fraudulent invoices, paying inaccurate invoices, duplicate payment on an invoice & paying incorrect amounts or paying to soon. You’ll notice that the greatest risk comes in way down the line , after most of the work has been done already – at the payment phase. This only proves how important the whole process is and how extremely important the efficiency & accuracy of the team is, that keeps the AP wheels oiled and rolling – in the right direction that is! When we aim for success in AP we need to take into consideration 3 things. The team a.k.a the human factor, the automation of certain repetitive tasks through appropriate apps, programs and/ or software and the internal controls we have established – the procedures and processes that makes the wheel turn. Tune in for the next edition, where we’ll take a look at the 1st step in the process – Procurement and make sure to request a Free infographic here. Disclaimer: This blog by no means aims to give accounting or financial advice of any nature. This goal of this blog is to get individuals in the finance department thinking about the bigger picture. Too often we don’t realise the importance of our individual roles within an organisation and this leads to miscommunication, frustration, feelings of not being valued and overwhelm. With my experience in the industry I would like to give individuals some room for thought and hopefully some insight in the workings of some finance departments. Most often the only change needed is a perspective adjustment, to find new solutions to old problems.